Operation Snowball is a national organization that empowers teens to make good, healthy life decisions all while having fun. “An organization that teaches young people that you can enjoy life without drugs and alcohol,” said club sponsor Arturo Martinez, as he described Operation Snowball. 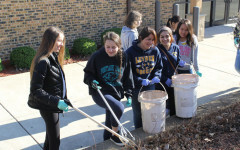 17 years ago, East counselor Patricia Muldoon started Operation Snowball when she started at East Leyden after her internship at Elmwood Park High School. 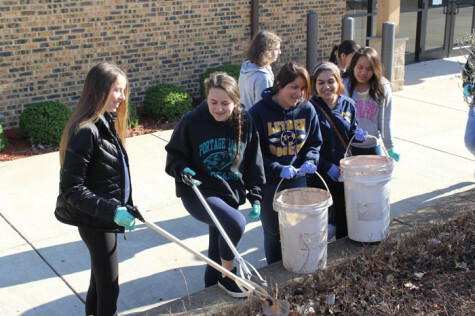 Once she saw how Operation Snowball impacted all of the teens’ lives, she knew that Operation Snowball would be a club she had to be involved in. Operation Snowball holds events called “Snowballs”. A snowball can be anything from a one night lock-in at a school to a four day camping retreat. “The purpose of a snowball is to spend time with other teens that have to deal with the same things as you, let your guard down, and have fun,” Muldoon said. In snowball, there are student leaders that are in charge of the group along with the teacher sponsors. Sophomore and student leader Shelsea Reynoso said she was in snowball in middle school and she absolutely loved it. Reynoso became a student leader because she was recommended by teachers for being responsible and a great leader. She then attended a leadership camp over the summer at Eastern Illinois University called The Cebrin Goodman Teen Institute. It is a camp that is based of off snowball and teaches teenagers how to be good leaders while being drug and alcohol free. At this camp, Reynoso also learned why this club is actually named what it is. As more and more people get involved in snowball, the club gets bigger, just like a snowball grows when you add more snow to it. Operation snowball meets every two weeks in the Little theater at 3:05 p.m. Everyone is welcome to come out and join operation snowball while having fun and being yourself.